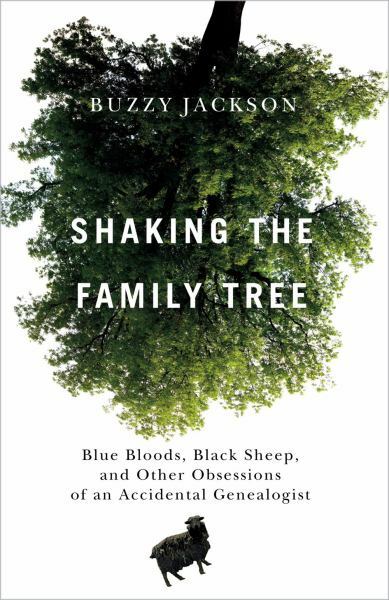 As a historian, Buzzy Jackson thought she knew the answers to these simple questions—that is, until she took a look at her scrawny family tree. With a name like Jackson (the twentieth most common American surname), she knew she must have more relatives and more family history out there, somewhere. Her first visit to the Boulder Genealogy Society brought her more questions than answers . . . but it also gave her a tantalizing peek into the fascinating (and enormous) community of family-tree huggers and after-hours Alex Haleys. In Shaking the Family Tree, Jackson dives headfirst into her family gene pool: flying cross-country to locate an ancient family graveyard, embarking on a weeklong genealogy Caribbean cruise, and even submitting her DNA for testing to try to find her Jacksons. And in the process of researching her own family lore (Who was Bullwhip Jackson?) she meets legions of other genealogy buffs who are as interesting as they are driven—from the boy who saved his allowance so he could order his great-grandfather’s death certificate to the woman who spends her free time documenting the cemeteries of Colorado ghost towns. Through Jackson’s research she connects with distant relatives, traces her roots back more than 250 years and in the process comes to discover—genetically, historically, and emotionally—the true meaning of “family” for herself.